Two northern Saskatchewan Treaty 8 First Nations have received a combined $177 million from the federal government to settle an agricultural claim, with members of at least one band set to get individual payouts starting next month. Two sources tell MBC Radio News that members of the Black Lake First Nation, as part of the Treaty 8 Agricultural Benefits and Ammo & Twine settlement agreement, will receive an initial $15,000 financial payout on or about May 15. An unidentified source says further payments of $5,000 will be made every six months until a total of $45,000 is paid out to each member. The source indicated it was still to be decided what would be done with the remainder of the settlement. The department of Crown-Indigenous Relations confirms negotiations with the Black Lake First Nation and the Fond du Lac First Nation have concluded. The federal government confirms Black Lake settled its $91.267 million claim January 29, while Fond du Lac settled the same day for $86.154 million. A spokesperson for Crown-Indigenous Relations says the First Nations have received their compensation. The spokesperson says that Canada is not involved in how the settlement funds will be used. One member of the Black Lake First Nation, who wished to remain anonymous, says they are not happy with the payment structure — suggesting the compensation is too little to make amends for the historical loss of income and cost of farming machinery. Black Lake Chief Coreen Sayazie posted to Facebook last summer that the membership voted by over 90 per cent in favour of the settlement. The Fond du Lac First Nation also held a vote last summer, with just over 53 per cent of the ballots being returned. Of that, 77 per cent agreed to the settlement. In 1900, Treaty 8 was ratified and promised certain agriculture provisions for First Nations who wanted to take up farming. The First Nations alleged “that an outstanding lawful obligation exists on the part of the Crown for not having fully provided the benefits under Treaty 8,” according to federal documents. The First Nations filed their claim for compensation in October, 2008. It would take Ottawa nearly three years to offer to negotiate. The compensation formula is based on the estimated costs to begin a farming operation in northern Alberta for a family of five. 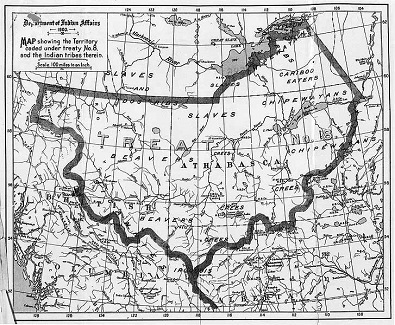 The Treaty 8 agreement is between the Crown and 39 First Nations, including 23 in Alberta and three in Saskatchewan. Requests for comments from the chiefs of both the Black Lake and Fond du Lac First Nations and legal representation have yet to be returned.